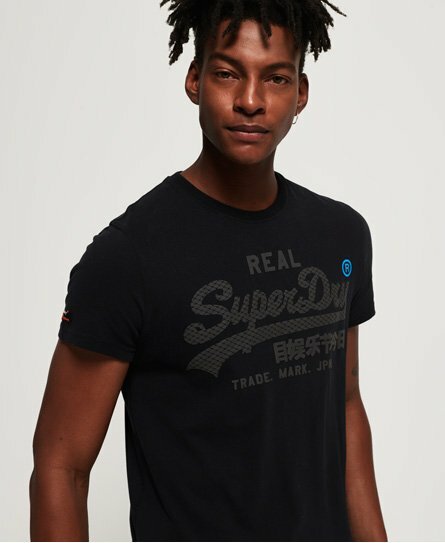 Superdry men’s Vintage logo monochrome t-shirt. Sleek and soft, this short sleeve, crew neck tee is a must-have in your wardrobe this season. It features the iconic Superdry logo across the chest in a textured print and a Superdry patch on the sleeve. It has been engineered for both comfort and everyday use.